Both modern and traditional, the attention to detail on the Filet Classic is stunning. A subtle relief envelopes the handle of this expressive cutlery classic. 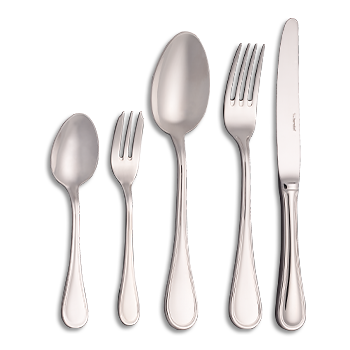 Thanks to shapely contours and highly polished surfaces, Filet Classic cutlery sits comfortably in any hand and is superbly proportioned. Subtle yet striking – in a very unique way.